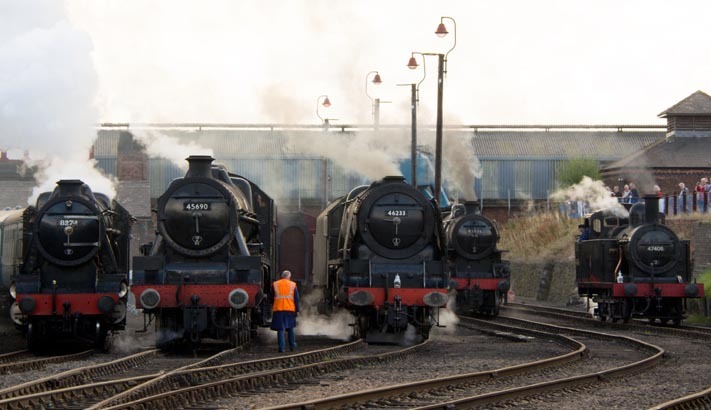 This LMS Gala was held in September 2015 was to mark the 50th anniversary of the last steam working out of Barrow Hill Roundhouse. 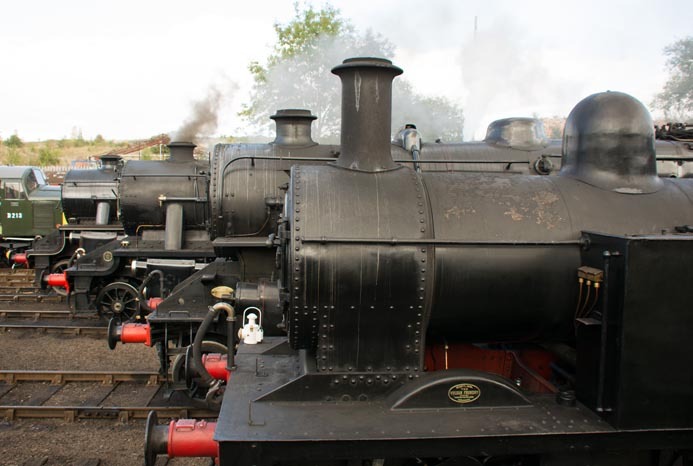 The steam gala was dedicated to the history of the Midland Railway and the LMS and the Roundhouse. 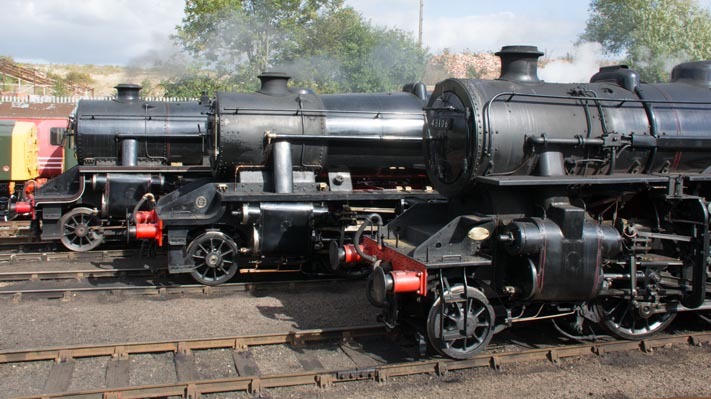 This is the only roundhouse left were live steam locomotives can be seen up close in steam. Didcot being a GWR straight engine shed. Carnforth LNWR shed is now closed to the public.